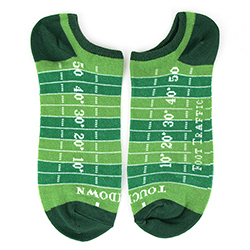 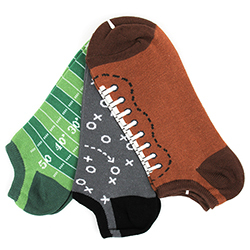 Our fun football 3 pair pack of no shows is the ideal gift for your football enthusiast. 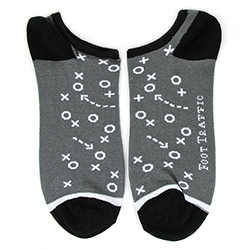 The three different designs have a football, a play diagram, and a football field, each a fun design for any guy who loves football. 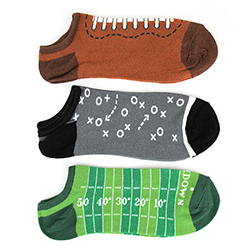 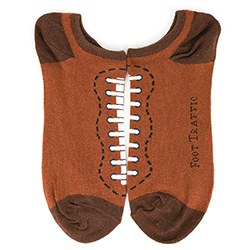 Whether he is wearing these with his sneakers to a football game or in front of the big screen, these are certainly a fun way to get in the football spirit, no matter what team he is cheering for!